Posted on 19/12/2014 by U.N.
After more than 10 years I visited my hometown’s unique narrow strip mill again. The mill produced wire and later hot strip. In 1907 the site was taken over by the Hoesch steel company from Dortmund. In the 20th century numerous cold rolling , wire drawing and steel spring manufacturers were taken over. In 1955 the new narrow strip mill started it’s production.The Hohenlimburg site was fusioned with Schwerter Profileisenwalzwerke AG in 1969. This rolling mill was sold to the Italian Calvi group in 2005. 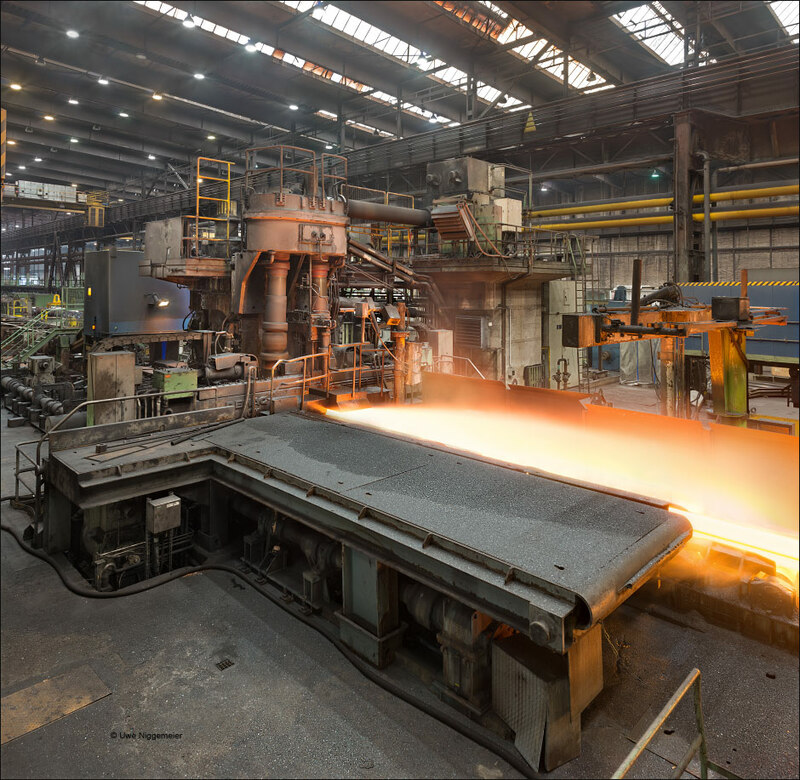 The Hohenlimburg plant is now part of ThyssenKrupp Steel. This entry was posted in Works and tagged Germany, Hagen, Hoesch Hohenlimburg, Rolling Mill by U.N.. Bookmark the permalink.